1. 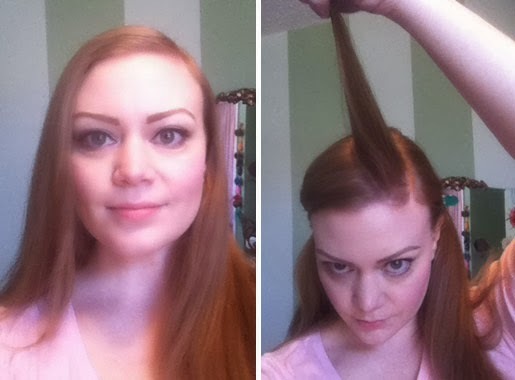 Start with a deep side part. I like to line mine up with the arch of my eyebrow. 4. 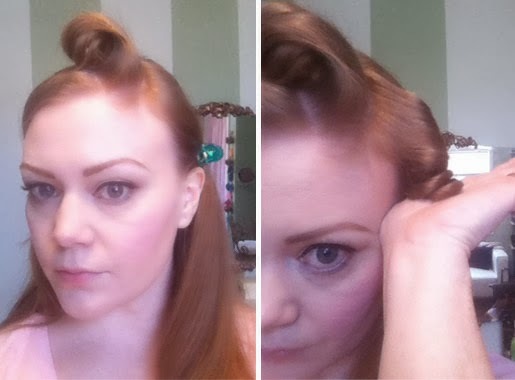 Slide the hair off of the wand, but catch the hair so it doesn't stretch out. Spray with hairspray. 6. 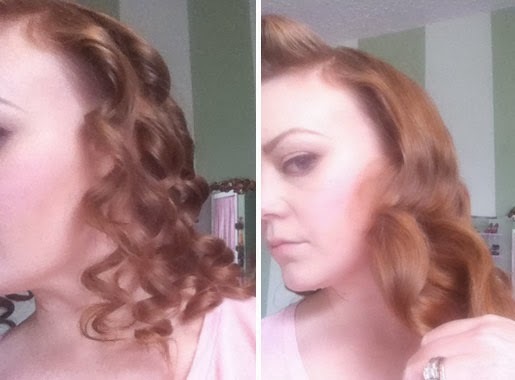 Curl the entire head and let cool completely. 7. 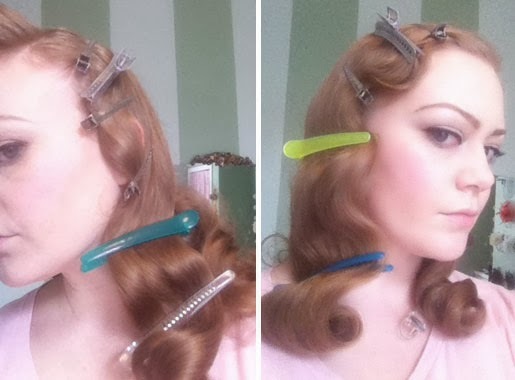 Carefully take out the curls and brush through with your fingers. natural places it wants to wave. to create a ridge. Spray, spray spray. 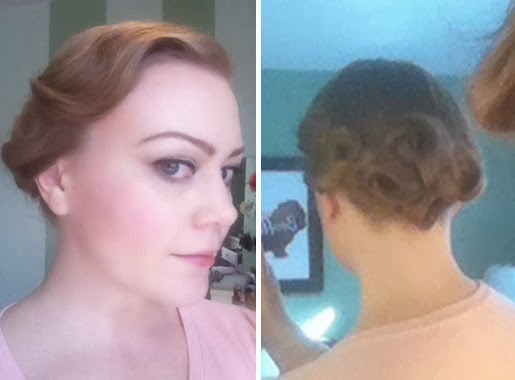 An alternative look is an updo. I separated the hair from the ears back and created a pony. 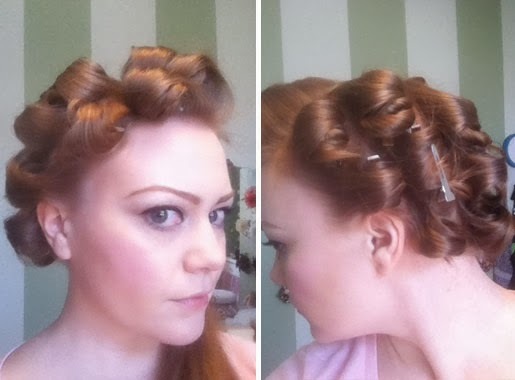 I then split the pony into sections and pin curled. 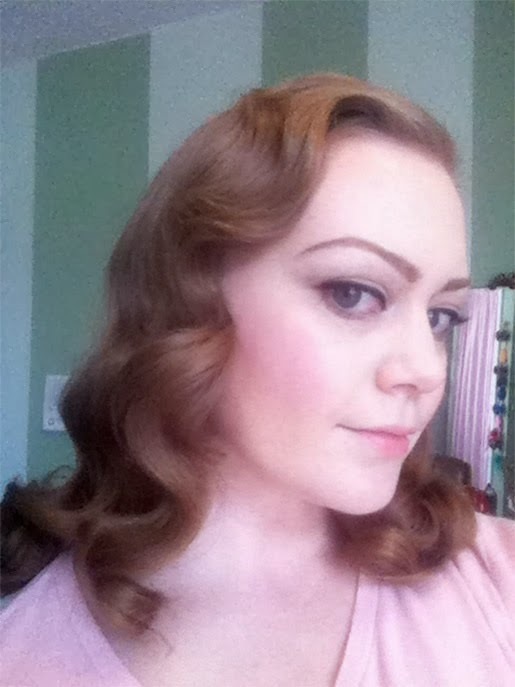 I pinned the sides up and added a curl to each side.